He joins two other researchers from the College of Science who were named AAAS fellows in 2018: David Maddison, a professor of integrative biology, and Mas Subramanian, the Milton Harris Chair in Materials Science. This brings the total of AAAS fellows in the College of Science to 16. Freitag was honored in the field of biological sciences for contributions to fungal genetics and genomics, particularly in dissection of fungal centromeres and chromatin function, including the invention or use of cell biological tools to interrogate cell polarization, according to a statement by AAAS. Freitag is also a fellow of the American Academy of Microbiology. Freitag was among 416 AAAS members awarded the distinction of AAAS fellow this year. He will be introduced as a new fellow on February 16, 2019, in Washington, D.C., during the AAAS annual meeting. Freitag researches how genes are regulated by DNA or protein modifications, and as part of that work has found a way to unlock the ability of fungi to produce new molecules that could be medically important. He has published more than 100 papers in prestigious journals, such as Nature, Science, Proceedings of the National Academy of Sciences, and Genome Research. In the past 10 years, Freitag has published 66 papers and received more than 8,500 citations for his work. In 2013, Freitag was co-author on a paper that explored deciphering the “cryptic genome” of the rice pathogen Fusarium fujikuroi, which revealed complex regulation of secondary metabolism and novel metabolites. A second 2013 study from his lab showed the mechanistic basis for this phenomenon, a specific modification on histone proteins. While on sabbatical in The Netherlands and Germany in 2014-15, Freitag presented 14 seminars to scientists and students across Europe. The focus of Freitag’s research is epigenetics, the study of changes in organisms caused by the modification of gene expression rather than alteration of the genetic code itself. Specifically, Freitag’s team seeks to understand how genome defense systems and epigenetic silencing phenomena shape and maintain eukaryotic genomes and “epigenomes.” Epigenomes are the sum of differential DNA or protein modifications that result in heritable chromatin states not encoded in the DNA sequence. In addition, he won the College’s 2017 Milton Harris Award in Basic Research for his outstanding research on how chromatin proteins shape eukaryotic genomes and epigenetic mechanisms of regulating DNA transcription through the use of filamentous fungi model systems. In 2016, he led the College’s undergraduate summer research program, SURE Science. 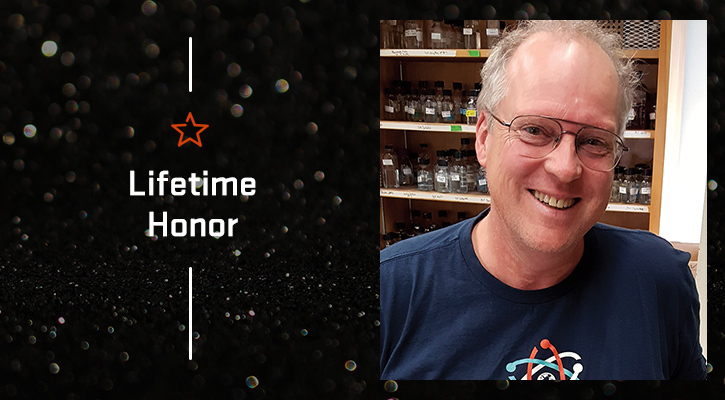 “Since Michael’s arrival at OSU in 2006, he has built a fantastically productive and internationally recognized basic research program,” said Andrew Karplus, head of the Department of Biochemistry and Biophysics.